According to Forbes, Googler and Android platform manager Eric Chu revealed in a Q&A session at the Inside Social Apps conference that Google itself is “not happy” with the rate at which Android users are purchasing apps from the Android Market. 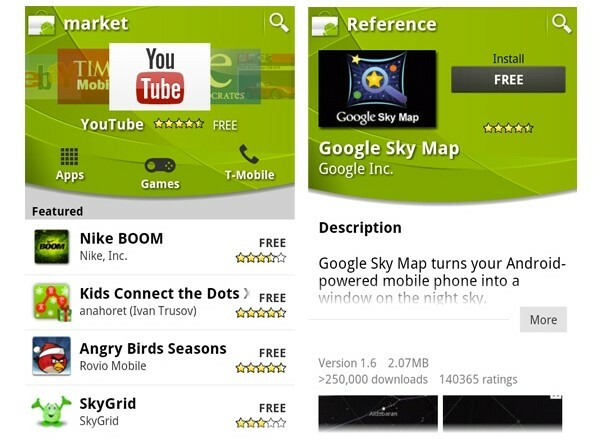 Google will be implementing several changes this year with the hope of improving the sale rate of paid apps. Carrier billing – We've seen Android users on AT&T receive this ability already, but it now seems as though Google will be expanding this option to every carrier. Unfortunately, there was no clarification on whether or not Google expects most, or even some, carriers to go along with this app payment option. However, I believe that most will go along with it, considering that the apps will likely use up data which the carriers can charge the consumer for. In-app payment system – I've heard whispers before that Google would implement a system for in-app purchases like game unlocks, items, and other virtual goods, like game money, land, and many other things, but I'm fairly sure this is the first time they've made a statement indicating that they would add this ability. Improving how to discover apps – Eric Chu said that Google is working on a new algorithm to make it easier for users to find the good apps that are available on the Android Market. In addition, Google has a team that is sorting through apps to find apps which violate the Android Market terms of service. HTML5 and the Android address book – Google seems to be envisioning HTML5 as the future web standard and believes that it could yield another method for developing apps. Eric also talks about the creation of an Android address book which developers can take part in, but the whole idea is not explained very well. One thing that was not mentioned in the Forbes article was any reference to the recent reduction of the trial period down to 15 minutes. I know that many, if not most, of AndroidPIT's users are strongly opposed to the reduction in the trial period, but it appears that the Android team is not yet ready to make an announcement about whether or not they believe the change is working as they wanted it to. Well, they just hired a VP of mobile from PayPal to assist with the payment system. They should have just gotten PayPal on as a partner and offered payments through them. PayPal probably just wanted too much of the cut Google takes on app purchases. I do believe that their customer support is horribe and sometimes seemingly nonexistant. However, I'm not sure how they could afford the hundreds or thousands of people needed to have good service when the only money they make from android comes from advertising. I find it funny that google is now saying they are not happy with the amount of apps users buy; after developers have been complaining about all kinds of problems for years. From payment methods to download errors and almost no support for users. If you have a problem as a user google will not even try to help you. Google has themselves to blame for this!